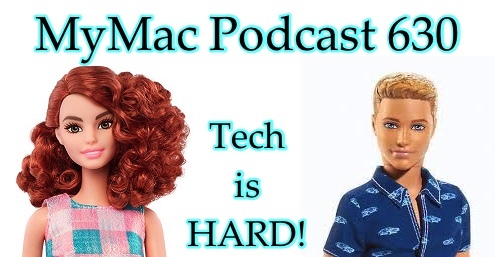 MyMac Podcast 630: Tech is HARD! Guy has a football game to go to (that American version of it anyway), so the GMen couldn’t find a way to match up the schedule. Fortunately Mark Chappell of the Essential Apple Podcast (http://www.essentialapple.com) jumped in to keep that UK/US mix happening and of course the show went completely off the rails AND went really long AND doesn’t have a 3rd section OR after show. Most of it is centered on a conversation in G+. How did that happen?